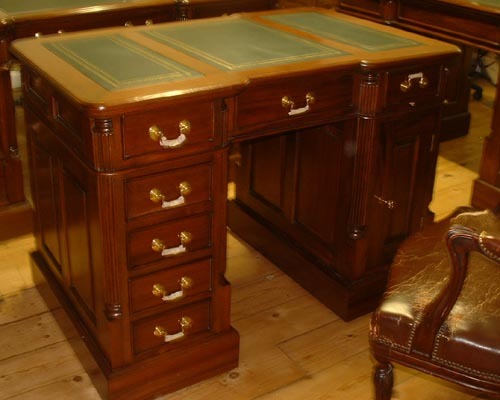 Victorian Style Leather top, Mahogany pedestal desk. With seven various size drawers and a lockable storage press. Classic brass handles and plinth base. 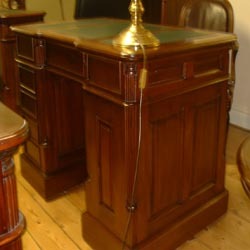 Solid Mahogany with gilt tooled leather top in three sections.